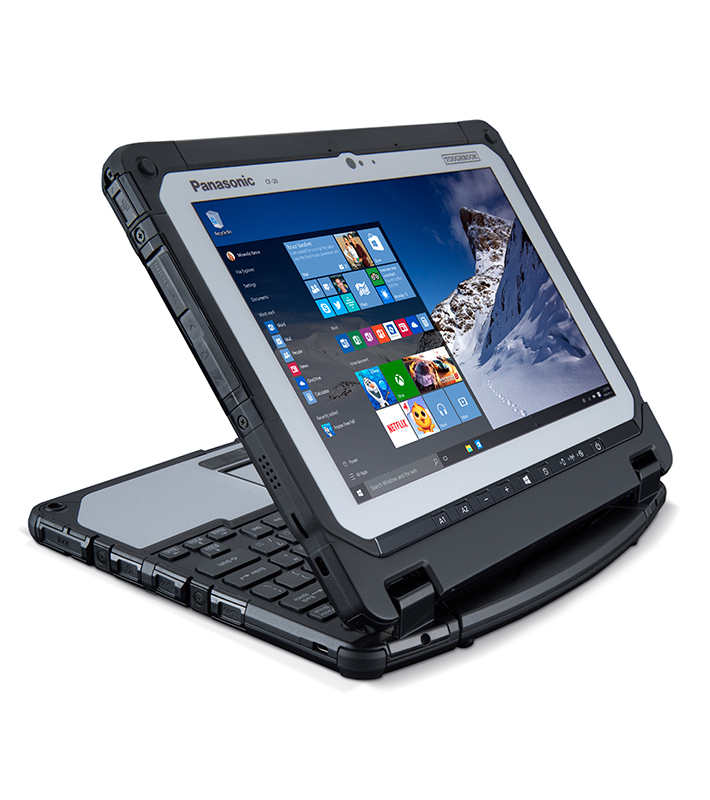 The Panasonic Toughbook® 20 is a fully rugged, lightweight laptop that easily detaches to become a 10.1" tablet. And it only takes one hand. 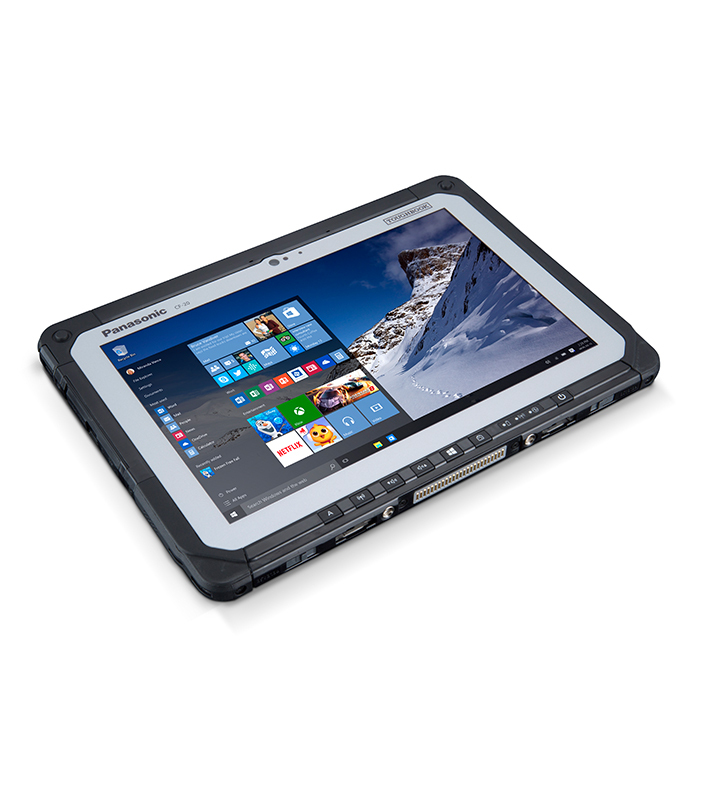 The detachable laptop has a magnesium alloy chassis and is also MIL-STD-810G and IP65 certified, so it can take the abuse of most any job site. At only 3.9 pounds, this 2-in-1 machine is good on the go. The clever built-in handle also functions as a kickstand, providing on-the-job flexibility. And even as the workday gets longer, power won't be a problem. The optional bridge battery allows hot swap battery replacement without disruption. The gloved multi touch display is sunlight-viewable, making this hybrid laptop perfect for rugged outdoor environments. With this detachable laptop tablet at your side, you can handle anything the workday throws at you.